To mark another big year in the blockchain space, our friends at Coindesk are profiling 10 influencers who have helped drive blockchain throughout the last year (and in most cases, for many years before that!). These are builders, inventors, and visionaries. We’re purroud to have turned two of that prestigious group into Kitties! Sales from these influencer Kitties will go to support charities chosen by each influencer. So pick a cat based on their cute faces, or pick a cat based on the cause they're supporting. To get your paws on one of these Kitties, you'll need to decide how much you think it's worth – and make an offer! All you need to do to place an offer on the cat of your choice is have a CryptoKitties account. So sign up today, if you haven't already. For every offer you successfully make on one of these Kitties, you'll also receive a bonus entry into the #NFTme sweepstakes for a chance to be immortalized as a CryptoKitty yourself. That's pretty sweet. You may begin making offers on January 4th at 2 pm PST. The highest offer on each Kitty as of January 7th around 1:30 pm PST will be the winning bid. 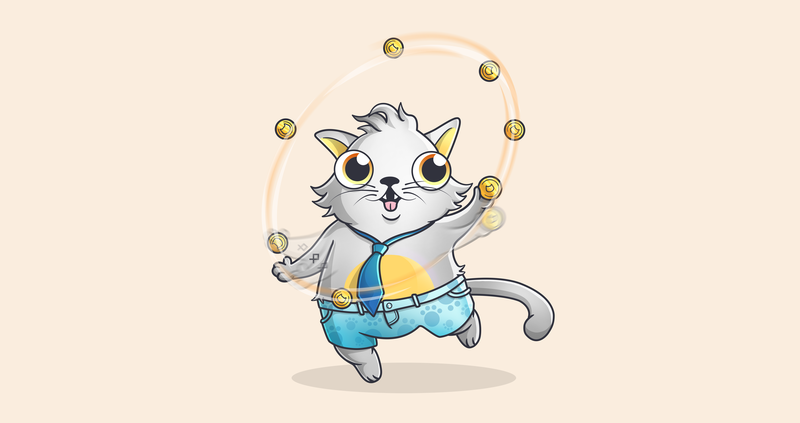 We've taken two of the superstars on CoinDesk's list and turned them into cats. Meet Changpeng "CZ" Zhao and Jeremy Allaire! CZ is the CEO of Binance. He was born in China, and moved to Vancouver (home of CryptoKitties!) to attend school. After studying computer science at McGill in Montreal, he worked on trading systems for eight years before making the transition into blockchain. He was the CTO of OKCoin before starting Binance in 2017, which grew to be the #1 exchange in only eight months. His cat is rocking his traditional Bermuda shorts. "Hi, I'm Catzy. I like a good joke almost as much as a good pair of Bermuda shorts, but not nearly as much as fast, reliable exchanges. If I can't find it I build it, and if I can't build it, I keep dreaming until I can. It's a crypto gold rush, and I'm inventing the pan." CZ's charity of choice is Biance's Blockchain Charity Foundation (BCF). By using blockchain, the BCF can bring complete accountability, boost financial efficiency, and increase disaster relief responsiveness to causes that need it the most. The NGOs they work with are active in the Crypto Space, and all of their goals mirror the UN Sustainable Development Goals (SDGs), which aims to raise US$3.9 trillion of investment, annually, to be deployed in developing countries. Allaire and his brother J.J.'s company invented ColdFusion (no, not the mythical renewable fuel technology; it's a web app designed to connect simple HTML pages to a database). ColdFusion helped them grow from $1M in revenue in 1996, to $120M in revenue in 2000. They launched HomeSite, which became the most popular Windows HTML Editor in the world. When the company was acquired by Macromedia in 2001, Allaire became CTO. In 2013, Allaire launched Circle, a digital currency company that aims to bring digital currency, like Bitcoin, to the mainstream. Allaire knows the internet, and that's why his cat is the master of the mouse. "Hey there, I'm Purremy Allaire. Some cats are focused on catnip and stalking prey; I'm more about using open internet protocols to pave the way for value to move as freely in the future as information moves today. Every Kitty needs scratch, and I want to make getting cryptocurrency as easy as catching a mouse." Allaire's throwing his weight behind the International Rescue Committee. The IRC responds to some of the world's worst humanitarian crises, delivering aid that saves lives while paving the way for long-term recovery. They serve people whose lives have been upended by war, conflict and natural disasters, helping people to rebuild their lives, and refugees to settle and thrive in the US. When CoinDesk approached us about a partnership, we were excited by the idea of reaching a whole new audience. This isn't our first forray into creating Kitties to help charitable causes, and each new experience solidifies our dedication to helping those in need. So far, we've raised more than $190,000 USD for charitable causes, including saving sea turtles, helping special needs cats, and supporting artists working on chain. Outside the game, a community-driven campaign raised US $15,000 for the Seattle Children's Hospital. We can't wait to see how the dial on that number continues to move with your help! Make your choice — or get one of each! You can take home Catzy and Purremy Allaire, but these Kitties are limited edition – only 6 of each Kitty are available to buy. 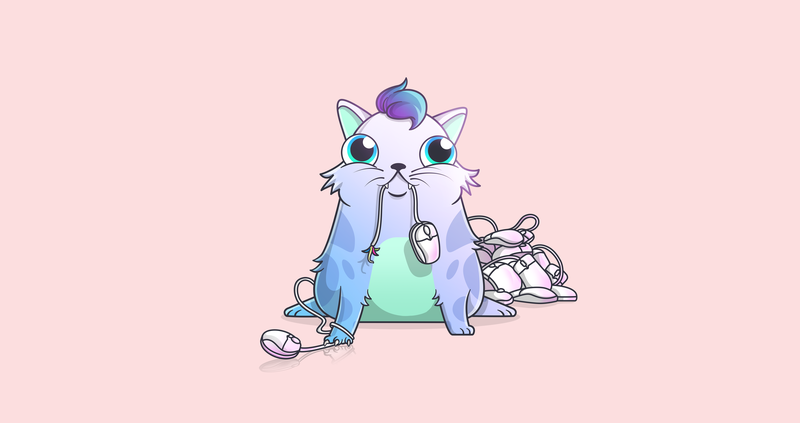 Sign up for the CryptoKitties newsletter in the form below for more information on how to get your paws on one of these super special Kitties.